You've Captured Attention on Your Social Networks, Now What? 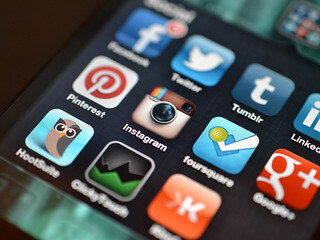 You’ve Captured Attention on Your Social Networks, Now What? Congratulations! Your #Share4Schools campaign is almost over. It’s been quite an adventure, hasn’t it? Trying out new marketing ideas, dusting off your social media accounts, convincing your students, teachers, parents and supporters to share your post. Whether you win or not, you’ve worked hard to grow your school’s network, expand your email list, and now you have access to a greater reach for future initiatives. The sustained push of the #Share4Schools contest can leave the campaign team feeling a bit fatigued afterwards. It’s tempting to just forget about it, put the social media accounts away, and move on with the next challenge. But there are valuable lessons to learn from a completed campaign—and you’ve built a marketing machine to help you keep your newly expanded network engaged and ready to participate again in the future. You tried a lot of new things—and probably some of them worked better than others. Keep the best, throw out the rest! What worked best at getting engagement from your supporters? When were people more likely to click and share? What didn’t work? What methods had the least response from your crowd? What were your greatest accomplishments? What you’ve learned from this great experiment are also tools that your development team can use long into the future. You’ve gotten a quick read as to what methods they’re most likely to respond. Which social media platforms and approaches did people seem to like, and where did you hear crickets? Record those methods that performed well and work on developing more sophisticated strategies around them in the future. Now that you’ve poured this much effort into adding new names to your email list, you want to stay prescient in their minds. They’ve just become aware of you—don’t let them forget about you. The key is follow-up, follow-up, follow-up. Right after your campaign has ended, circulate the results of the contest, and thank everyone who participated. TIP: Add photos of how your school participated, and how everyone came together to try and win. Ask for feedback from your audience in your follow-up communications. What could you have done better to engage them? What other incentives could you have offered to inspire them? Make a communication plan for continuing to engage the new additions to your email list. Send out a newsletter shortly after the campaign ends that includes a brief write-up about #Share4Schools and how your school brought everyone together to participate. Don’t let the line go silent! Stay in touch with your network. Plan new initiatives that use the same successful techniques you learned and implemented in the #Share4Schools contest. Congratulations on finishing the contest! And may these lessons from participating in #Share4Schools give your school success well into the future.